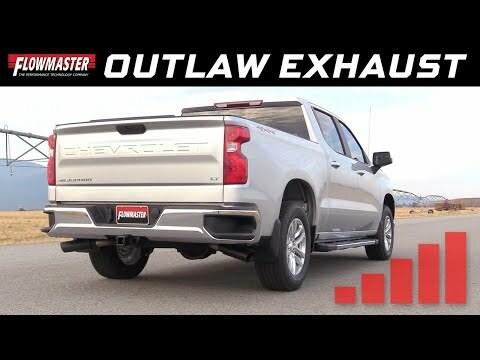 Flowmaster's Outlaw Cat-back exhaust system is perfect for the person looking for maximum sound levels both inside and outside the vehicle and are not afraid of getting peoples attention. 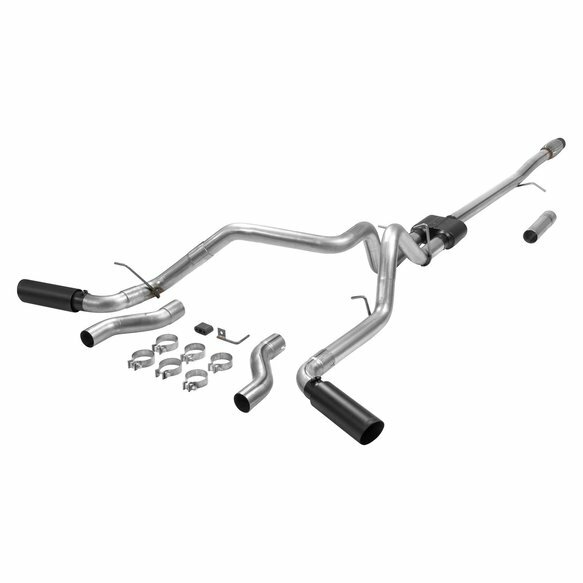 This emissions-legal system is for GM trucks with the 5.3L V8 engine and features a stainless steel Super 10 Series muffler, all mandrel-bent stainless steel tubing that uses all the factory hanger locations and large dual 3.00 inch stainless tailpipes for maximum performance and sound. 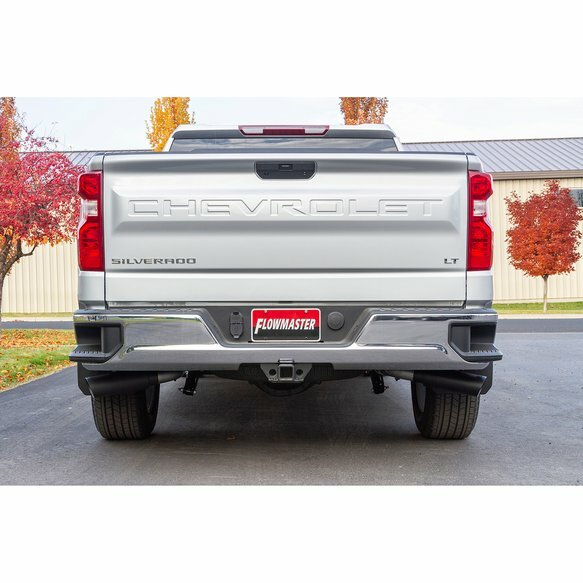 This bolt-on system comes with your choice of tailpipe exits, either dual out the rear, or dual out the sides behind the rear wheels. 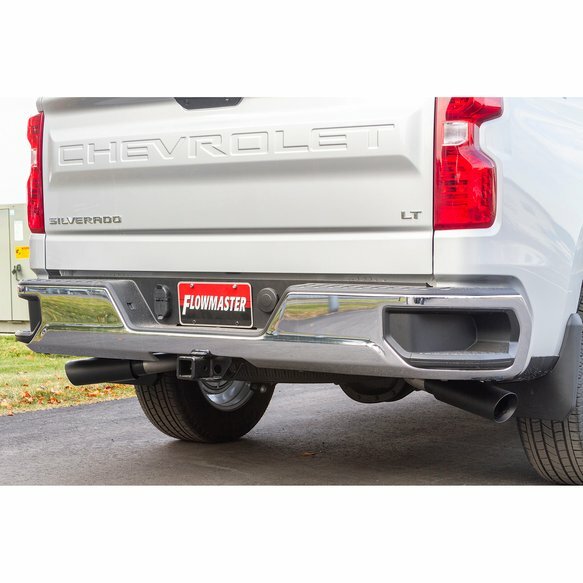 The side rear exits are designed to prevent blowing exhaust on your boat or trailer when towing. 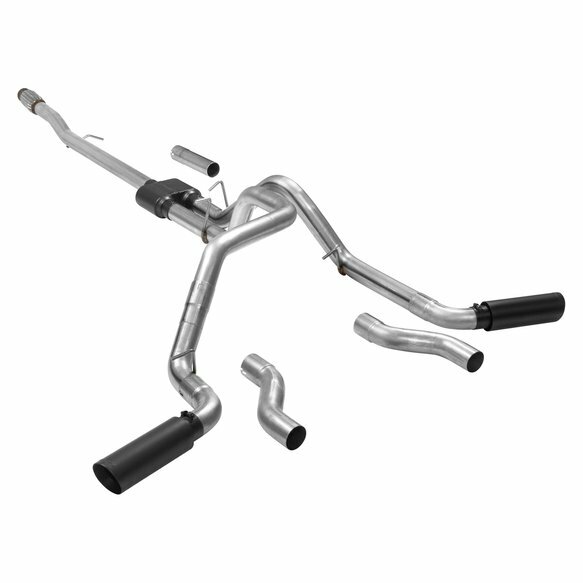 The system is finished off with a pair of large 4.00 inch double wall black ceramic coated stainless tips for that custom look. 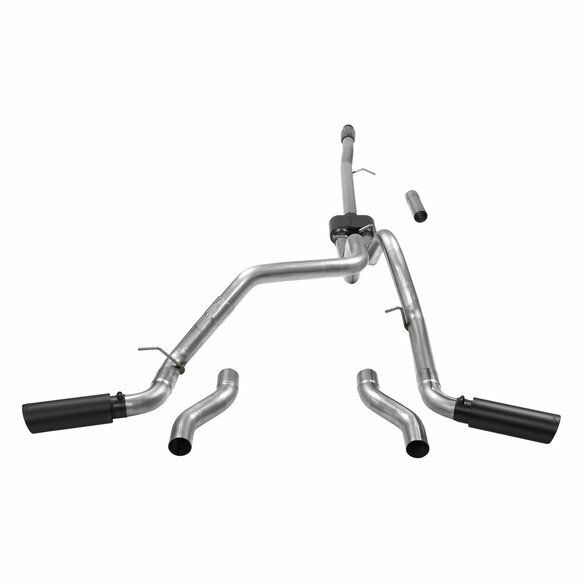 Designed for a perfect-fit, the system includes installation instructions and all the necessary hardware for an easy at home installation. 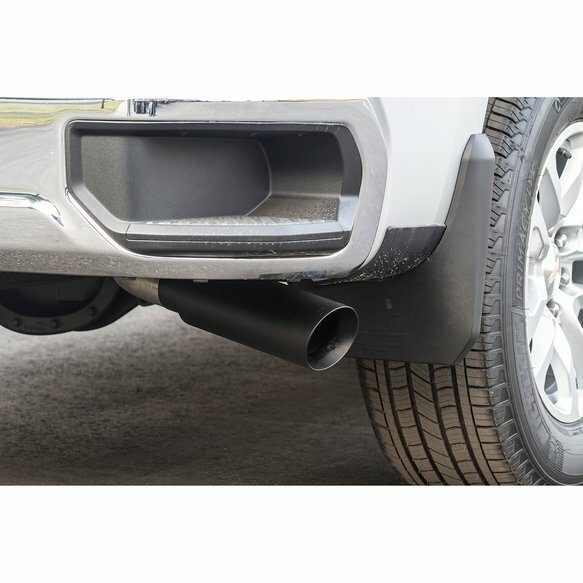 Notes: Fits Crew Cab and Double Cab models with factory single tailpipe only. 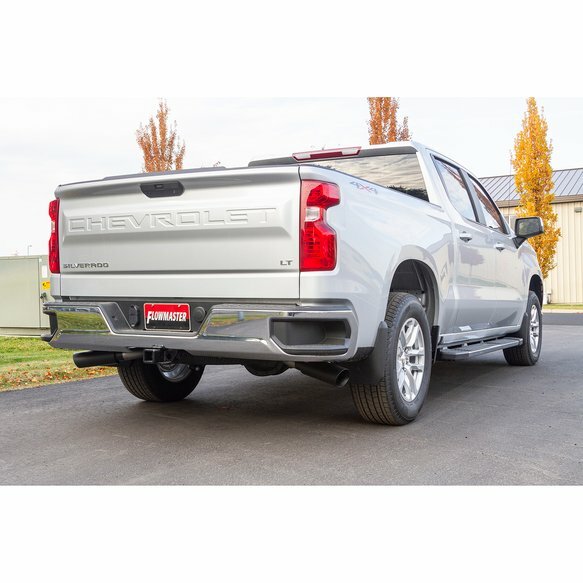 Does Not Fit Crew Cab 2WD with 2 Pc Driveshaft or trucks with factory dual exhaust tailpipes.